The adverse effect of the living components of the environment on plants is called biotic stress. Food insecurity, environmental degradation and global warming are some of the problems associated with loss of vegetation cover and crops death resulting from the activities of insect pests and pathogenic organisms (biotic stressors). 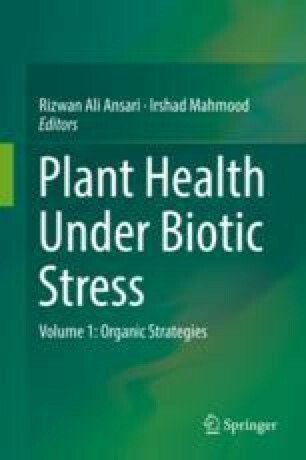 A number of control measures exist for the management of plant biotic stress, but chemical control measures appear to be the most common in several parts of the globe. Mammalian toxicity, carcinogenicity, mutagenicity and disruption of the natural ecosystem are some of the common problems associated with chemical control of biotic stressors. It has therefore become imperative to adopt other management strategies that are environment friendly and less toxic to man and nontarget organisms. Botanicals and antagonistic fungi are two of these alternatives. They are cost effective, safe, environment friendly and sustainable. The tropic, because of its peculiar geography, ecology and economy, will benefit from this approach immensely.